HomLuv.com is the first visual search and discovery platform for new home buyers. Developed to make finding the perfect new home easier, HomLuv flips the search process around, showing buyers beautiful interior images, floor plans and videos to help them discover their unique design voice and to articulate what they really want in a new home. Buyers indicate which images they like or dislike and HomLuv then creates a unique profile for them. HomLuv’s artificial intelligence and crowdsourcing tools match buyers with home builders who can build their perfect home, in their desired location, and price range. HomLuv gives shoppers an inspiring and fun way to find what they like – and then helps them identify and partner with a builder to design and develop a home that matches their tastes and lifestyle. HomLuv eliminates co-buyer frustrations by giving them a way to share images using a simple and intuitive pin-board format. Buyers and their partners can also add comments on their “likes” and “dislikes.” Builders gain a more holistic view of the homebuyers’ preferences and a “common language” emerges between all parties, enabling the builder to deliver the perfect home, within budget. Builders are constantly looking for ways to connect with home shoppers and engage them during the buying process. HomLuv gives builders a visual way to engage buyers and showcase their homes. The HomLuv platform takes a different approach than traditional real estate search sites and focus on putting images first and focusing on buyers who need strong visuals to make a buying decision. For a builder, the artificial intelligence engine that powers HomLuv means they will have a deeper connection to their prospects and receive leads from buyers that are truly a “match” for their homes and communities. For home shoppers, HomLuv is “Where the perfect home finds you”. Many people who want a new home, start with a dream. There are lots of places on the web to find inspiration. But these sites are “a road to nowhere”. They do not connect buyers to the perfect home, or builder, or your desired location. 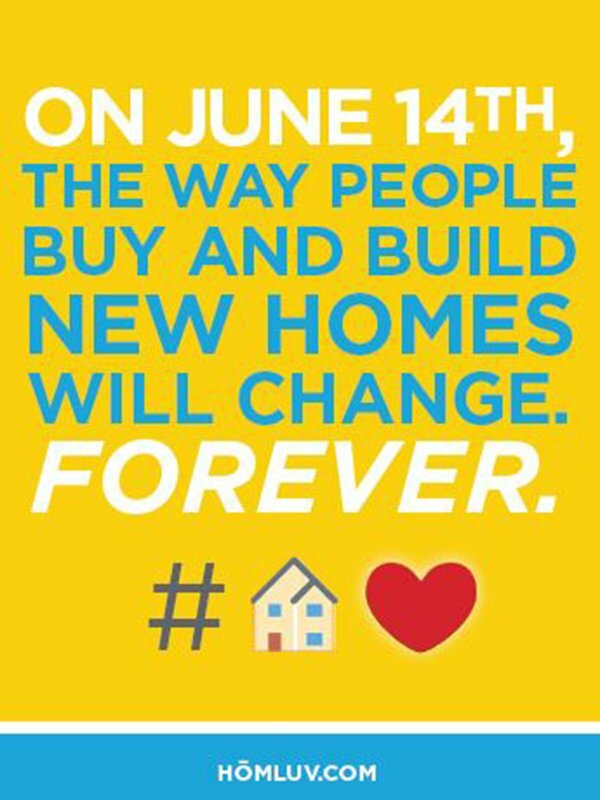 They are just pictures… HomLuv changes everything for buyers. In HomLuv, home buyers are always at the center of the experience. Homebuyers tell us what they love in a home, and we help them articulate their design style and home preferences, making it easy to collaborate with their co-buyer and find the builder who will deliver the perfect home. HomLuv is focused on the new home shopping experience, is image-centric, and lets buyers explore lots of design options. As they browse through the site, the buyer luvs or dislikes images and the artificial intelligence is collecting all of this information in the background and developing a profile for the buyer. This is where the magic happens, HomLuv uses this artificial intelligence engine to make new home, builder and community recommendations that align with my/our style and budget and are based on the images a homeshopper has “luv’d”.